Posted on July 5, 2017 at 12:00 pm. Social media is one of the most effective marketing tools for actors, allowing you to promote yourself and the acting projects you are involved with. It is increasingly seen as essential for actors to be active on social media, both in terms of raising their own profile and the profile of the projects they are involved in. To get the most out of social media, it is important to understand what goals it can help you to achieve and which channels can help you most effectively achieve those goals. 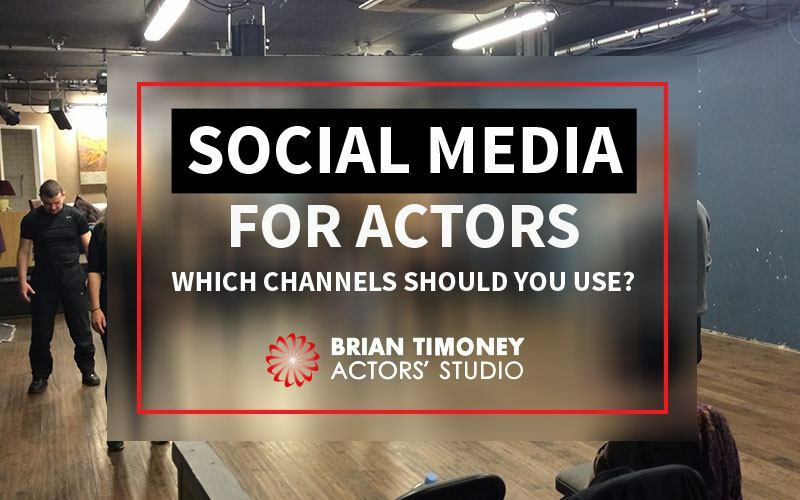 In this article, we explain how to use social media for actors across different channels to help you further your professional acting career. At its most basic, social media can act as a free advert for your career, showing people what you are up to and what you can offer them. This might take the form of sharing what roles you have won, where people can see your work, reviews of your performances, or anything else which demonstrates your value as an actor. Increasingly, social media is also playing a direct role in who gets cast for acting projects. The number of social media followers you have is often now seen as a plus by producers and other industry insiders. The logic behind this is simple: the more followers you have, the more of an in-built audience you are likely to bring with you for any new project you are cast in. Finally, social media can be a highly effective way of networking and staying up-to-date with industry news and opportunities. By making the right connections and following the right sources for upcoming auditions and other industry insights, you can increase your chances of getting to the head of the queue when a new opportunity arises. Which social media channels are most useful for actors? The best social media channels for your acting career will likely depend on a number of factors. You also need to think about who you need to appeal to. If you are promoting a new film project, then it is worth bearing in mind that 64% of cinema-goers are under the age of 35. While Twitter and Facebook are popular with all age groups, Facebook is the most popular social platform for older users, while younger people are more likely to be found on Twitter, YouTube and Instagram. For theatre work, however, your audience is likely to be older, meaning Facebook may be a more effective way of reaching out to your target market. What are you looking to share? Social media for actors is all about sharing, but different platforms can be better for sharing different types of content. One of the reasons YouTube is so popular with actors is it allows you to easily share your acting showreel and other video clips of your acting to instantly show people what you can do. Instagram is obviously focused around photo and video sharing and this can be a great way of generating interest in both you and your acting projects. You will, of course, want to share your acting headshots, but to create a following you need to create posts full of personality. Chris Pratt recently got a lot of attention for his funny on-set short Instagram videos about the strict diet he was on while filming Jurassic World 2. The videos didn’t directly refer to the film, but have generated hundreds of thousands of views and helped to strengthen Pratt’s personal brand as an actor and raise awareness of the film. Facebook, on the other hand, can be great for sharing more in-depth thoughts as it allows you to post longer text-based content, as well as pictures, videos and links to your website, places to buy tickets for shows you are in and a whole range of other content. Twitter, likewise, is great for allowing you to post links to external content, such as your website, blogs and relevant news articles. It can also allow you to be part of wider conversations relating to the acting industry which can be a great way to network. The key to effective social media for actors is to understand that you need to be promoting your acting and projects across multiple social media platforms at once, to make sure you get the biggest possible reach. There are various social media management tools such as Hootsuite which can make this process easier, allowing you to post across multiple social channels from a single place. When cross-promoting, it is important to remember to tailor your posts to the different social channels you are targeting. A basic example is that you might ask people to retweet something on Twitter if they agree, but this would make no sense if you posted the same thing on Facebook. It’s also worth taking advantage of the extra space afforded by Facebook to craft effective posts, rather than restricting yourself to the 140 characters allowed by Twitter. Mastering the art of cross promotion means you can connect with more people, while making sure you hit the right demographics for different projects, depending on where your various target audiences are most likely to be found. Understanding the importance of social media for actors and effective self-promotion is just one of the tools successful professional actors need to have at their disposal. To build a successful acting career that allows you to earn a living doing the thing you love, you need to have a complete understanding of the business of acting. 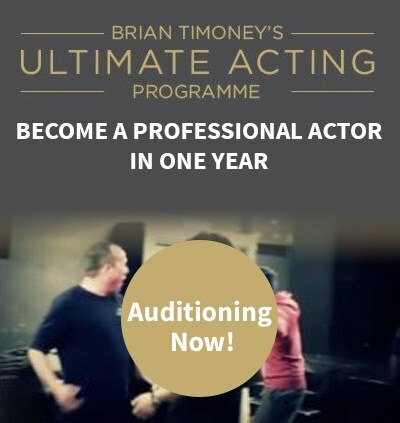 At the Brian Timoney Actors’ Studio, we specialise in both world-leading method acting coaching and teaching our students how to take those skills out into the world and find regular paid acting work. That’s one of the fundamental differences between our approach to teaching acting and what you will learn elsewhere such as drama school.